Your website describes you as a Parrot Behavior and Care Consultant. I know that in addition to working directly with clients, you also write articles about parrot care, and travel around the United States and even abroad to lecture on the topic. When, and how, did you get started with all of this? How has it unfolded? I have always had a deep love for the natural world and all living things. When I was 19 years old, I walked into a pet store and came face to face with an African Grey parrot. He met my eyes with a look that communicated intensity and incredible intelligence. It was a profoundly personal moment and I resolved then and there that someday I would live with a parrot like that. When I reached my early 40’s and my children were almost grown, I decided that it was time for this dream to come true. I had never forgotten that parrot and began a search to adopt one of that same species. Unfortunately, the young parrots I met were hesitant, slightly fearful and reluctant to interact with me. Instinctively, I knew that this was unnatural and that I did not want to begin a relationship with a parrot who might live for 50 years and had already learned a distrust of humans. I decided to learn all I could about breeding parrots and to produce my own. Looking back, this seems the height of arrogance, but something told me that I could do a better job. I acquired five pairs of African Greys and did have great success breeding them. I encounter people today who have met the birds I reared and who tell me that they are unlike any other greys that they have met. I did produce a grey parrot for myself, and acquired others along the way as well. As I lived with these birds, my understanding and knowledge about their care and behavior grew. I began to participate on some Internet discussion lists. Slowly, the realization grew that I somehow understand things about birds that others don’t. This still mystifies me, but I have come to accept it. What seems obvious to me about parrots is not at all obvious to others. As I participated on these lists, people began to come to me for help. After a few years of helping other caregivers at no charge, I was so busy that I had to make the decision to charge for my consulting services. That was about 15 years ago, and my business has only grown since then. Along the way, different publications asked me to write for them. This was a good fit, since one of my college majors was journalism. As I published articles, I began to be invited to speak around the country at different conferences. I still am surprised at the fact that a career has resulted from a simple love of feathers and the brain behind them. What fears did you have to overcome to get where you are today? How did you overcome them? I don’t think that my insides are any different from anyone else’s. I have always been afraid of others’ judgments. I fear that someone will disagree with me publicly. I fear that I will publish something that will be wrong and that I will be embarrassed. I fear that I don’t really have anything important to say. These concerns haven’t diminished at all with time. I think that such fears stem from the ego, which always has an element of insecurity. I get past these fears by remembering that feelings aren’t facts. I make a concerted effort to remember the positive feedback I get. It’s easy to remember the criticisms and the hurts. It takes a lot more effort to remember the positive things that people say. I often print out positive feedback from people and place these where I can read them every day. This helps me to have a more balanced perspective of my worth and to continue to remember that I DO have something important to say. What other obstacles, besides fear, have you had to overcome? How did you get past them? I have encountered a number of obstacles, the first of which was my own way of thinking. I grew up in an extremely dysfunctional and abusive home. Therefore, I learned a lot of behavior patterns that would have sabotaged any efforts I might have made to be successful. Once out of there, I had to do a lot of personal work to learn healthier ways of thinking and being. I have now learned to maintain a balance in my work life and my personal life, and more importantly…in my thoughts. As balance became more of a way of life, I was able to then come to believe in my own worth. Second, as I began my consulting career in earnest in California, my husband confronted me with a choice. He wanted me to give up the majority of my parrots and to get a full-time job. He would not compromise. Therefore, I made the decision to leave. While I did not want to break up my marriage, I could not continue to live with a partner who would demand that I give up the birds I loved so passionately and my dream of self-employment. 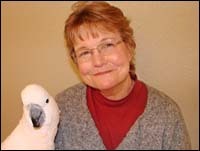 I moved to Oregon with my parrots and continued to pursue my consulting, while obtaining a part-time job. The third obstacle after separating from my husband and moving to Oregon, of course, was financial in nature. The consulting practice was a first priority, but I also had to find a day to eat regularly and to continue living indoors. This required compromise. So, I sought a way to make some income that would be more regular and dependable than the consulting income, but that would still allow me enough time for my own business. I got lucky and found employment as a veterinary technician for an avian vet. This allowed me to also learn more about parrots and their health, so ultimately furthered my consulting career also. I had never worked as a technician before and the training was extremely demanding. However, after four years of working on the job, I was able to take the national boards and to become licensed. Now, I am able to work 2.5 days a week as a technician and to pursue my own consulting practice the other four. Another challenge that I continue to have today is my disinclination to promote myself. Somehow I find it distasteful to engage in self-promotion. It makes me uncomfortable. I think this has to do with two personality traits. First, I don’t like to attract attention to myself. Second, it seems somehow too prideful or conceited. How’s that for an archaic term? However, I have realized not only the need for this, but the fact that this trait does not serve me well at all. I am working on this always by disciplining myself to look for and take advantages of occasions when it is appropriate to promote myself. The last significant challenge has been to establish and keep to a daily discipline. I hate writing, finding it very difficult. However, publishing raises my visibility and creates my reputation. Therefore, I’ve simply set a goal that I will write a minimum of 1000 words a day – no excuses. What has been most rewarding to you so far? I would have to say that it’s the ability to help captive parrots. Taking a bird, a flighted spirit, out of the wild to clip its wings and to keep it in a cage was the worst idea any human has ever had. It breaks my heart that it ever happened. Equally heart-breaking is the fact that so many people acquire parrots without adequate research, totally unprepared for the demands of the relationship, and then discard these long-lived creatures when problems occur. These birds live without ever having experienced the joy of flying or foraging or interacting with other parrots. I work hard to educate caregivers so that the true needs of parrots are recognized and that, hopefully, the standard of care will be better in the future than it is now. Also rewarding is the ability to use the experiences that people have with their parrots to make them more psychologically visible. Parrots are unique, in that they are both intelligent and highly social, and they can teach us a lot about ourselves. A client of mine wrote to me the other day: “You have a gift for telling people what they need to hear and softening it with encouraging words.” I enjoy helping people to better understand both themselves and their parrots and to help them to continue in that relationship. Most people who come to me for help are on the verge of giving those parrots up. I am able to help them resolve the problems, so that the parrot gets to keep his home, his quality of life is better, and the human becomes a little wiser. Further, through my writing, I can help people to relate to their parrots with more compassion, to appreciate them more completely, and by extension to want to preserve parrots in the wild and the habitats in which they live. I once wrote the following in an article: “Parrots are only recently out of the wild. Essentially, we have in our hands the interface between the wild and man in civilization. What we allow ourselves to learn from them could have far-reaching implications. Sometimes I allow myself to wonder if they could conceivably have the power, by virtue of their place with us in space and time and their great beauty and intelligence, to finally convince man of the need to preserve what is natural and most precious. They can touch us where we live.” I still work to that end. What is, or has been, the hardest part for you? Also difficult has been the competitiveness, the discord, and the “politics” that exist among professionals in this “parrot world.” The child in me finds this all very scary. However, I’ve concluded that the only reasonable course of action is to speak my truth quietly and clearly, to ignore discord, to stay on good terms with all people as far as possible without surrender, and to focus on the positive. What has been most surprising to you about it? The most surprising thing about all this continues to be the fact that I’m successful, in spite of being terrible with self-promotion. This year, I was invited to speak in Brisbane to the Parrot Society of Australia. I’ve been invited back in 2013. And, it continues to surprise me that, somehow, I understand things about parrots that others don’t. I can’t explain that, but have just learned to believe it. Without needing to share any specifics, of course, how are you feeling about the financial end of things? Are you able to support yourself doing this work that you are passionate about? I am able to meet approximately half of my expenses through my consulting practice at this point. I still need to work as a veterinary technician for now, especially because requests for consultations tend to go way down during the holidays as people’s priorities shift. However, with each year, my visibility grows, I get more referrals and do more consults, and am invited to more speaking engagements. I anticipate that, by 2018, I will be able to fully support myself solely through the consulting. What are your next challenges or goals? My first and ongoing goal is to become savvier, with regards to using social media to promote my business. I am struggling to become more knowledgeable about search engine visibility and am learning how to get more traffic directed to my website. My second goal is to become more consistent about publishing my blog and to increase the number of subscribers I have. Third, this year I will be offering webinars on different parrot-related topics, along with a friend of mine. And fourth, I have been investigating publishing options and have decided to publish an e-book on a common parrot problem, feather destructive behavior. I see the latter as one of the very best ways to increase my income in the future. There are a number of great books available that help with that process. Any words of wisdom or parting thoughts to readers who want to follow their dreams? Finding a dream and then following that requires that we each “wear our hearts on our sleeves.” That means that we always say what’s true for us, regardless of the reaction of others. We are each unique and have gifts that the world needs. However, to offer those up to the scrutiny of others takes courage. We will never find our true niche in the world if we employ any artificiality. We must be truly authentic each day and trust that this practice will lead us to where we need to be. Second, being true to a dream means constantly reassessing and recommitting to the highest priority – that dream. Life is so busy and there are so many distractions for us all on any given day. I must constantly ask myself questions like, “Do I want to have lunch with my friend, or do I want to write that 1000 words?” If I can’t do both, I’ve got to opt for that 1000 words and then find another day to go to lunch. I understand that your current dream is to be a “rock star.” Is this still accurate? Well, “rock star” is really just shorthand for wanting to be free to do what I want, to create, to share my creativity with the world, to follow the moment. But yes, that’s my dream. When did you first decide on that dream? A couple of years ago, when I was a taxi driver in Portland, I had an epiphany: I realized I’d been waiting for the right moment to pursue my wildest vision of myself, and suddenly all my excuses vanished. I decided then and there that I would do whatever it took to make my whole life about music, travel, and inspiration. How far along the path do you believe you are right now? Sometimes I feel like I’m right on the verge, and my dream is right around the bend. Other times, it feels very far away. But often, I recognize I’m already here. I have not worked a “day job” for more than 2 years, and that makes me feel very free indeed. It’s definitely all a matter of perspective. I have been singing since I can remember. I was born into a musical family, with my Mom and stepdad in a country cover band. It was this strange combination of going to church and singing “Jesus Loves Me” on Sunday morning, then hearing the band’s rendition of “Jose Cuervo” that night. It was a well-rounded upbringing. There were different types of choirs throughout church and school, I started teaching myself to play piano when I was around 7, and guitar came later, around 19. I wrote my first song at 16. What fears did you have to overcome to get where you are today? How have you gone about overcoming them? The fear of not being good enough, not being worthy of the attention and appreciation of others, has pervaded my performing life. I’m still very much affected by it, but so much less so than when I was younger. It held me back from even admitting what I wanted to myself, let alone an audience. It is only in the last couple of years that I have had the courage to embrace my dreams in a way that leads to direct action. There was that moment two years ago when it finally occurred to me that I was in a holding pattern, and it would take a large leap of faith to break free from it. I decided I would do the things that propelled me towards my dream, no matter how uncomfortable. I decided that the gift I have to give the world is worthy of celebration. I decided to stop relating to the hard work necessary for success in the music business as a burden, and start treating it like the dream job I’ve always wanted. Besides fear, what other obstacles have you had to overcome? How did you get past them? I think all obstacles probably boil down to fear of one sort or another, but one has been the very loud voices in our culture that tell us that artists are destined to fail, and that making a living with music is about drudgery and “paying one’s dues”. That kind of thinking drives people to drink. Maybe it makes a good blues or country song, but it doesn’t make an artist happy. Our inner artists (we all have them) are playful children, and what we are creating should feel primarily like playing. Another obstacle has been the absence of adequate music venues in our society. Traditionally, music is offered in bars and clubs. Often smoky, noisy places full of distractions and anonymity, they are more focused on the sale of alcohol than creating a magical musical experience. I have dedicated most of my energy to playing house concerts as an alternative to that world, and have been greatly rewarded for it. People are so much more attentive, they get the subtle nuances of what they’re hearing, and we make a real connection. I’m convinced there is no better way to experience music, for the audience or for the artist. What is most rewarding to you so far about your journey toward rock stardom? The fact that I took a great risk–quitting my job and beginning to travel–and it has paid off. I told myself one day, “I will do whatever it takes to live as an artist. Not as a cab driver who is also a musician, not as a food server that’s in a band, but someone who lives and breathes their passion.” And then I acted on it. I quit cab driving and dedicated myself to touring and the production of a new CD. Since that day, circumstances have continually aligned to help me sustain my new way of life. It seems to me that my successes come in waves, or bursts. Those times are very exciting, and it feels as though my dream is so close I can taste it. But between the waves, I can get very discouraged. Almost to the point of giving up. Almost. But there’s always a strong, still voice in me that knows it’s all worth it. It’s my dearest wish to hold my dream lightly, and not clutch it. Most surprising has been the swiftness and completeness with which great things happen when I am feeling excited and aligned with my vision. To the degree that I have stayed positive, envisioning the future that I want instead of the one I don’t want, I have watched in awe as one success after another manifested. My tour in Europe last year is such a glowing example of this. For months I talked about all the fantastic things that would happen there. I made vision boards. I meditated on experiences I was calling forth. And I leapt with no idea how it would all work. My partner Jen and I found ourselves in Rome with one gig. And with every step we took after that, the path unfolded beneath our feet, so that three months later we returned home with a lifetime of beautiful stories to tell. Without needing to share any specifics, of course, how are you feeling about the financial end of things? Are you able to support yourself financially by doing your music full time? What other ways have you supported yourself financially along your journey? What were some of your most and least favorite aspects of these other kinds of work? What I learned on tour is that I can support myself financially if I keep moving. Gas is cheaper than rent, and it’s easy to book a gig on the road every other night. Between touring stints, I have done a bit of work on various organic farms as a supplement. (I actually love farming, and have often held it as a secondary dream. One day, when travel loses its luster, I’d love to move to the country and grow my own food.) The only drawback is that farming usually happens in rural areas with little connectivity to the fast-paced world of networking, so my performance schedule tends to decline during those periods. What I love dearly about farm life is that it is quiet enough that my writing truly flourishes. I wake up, feed the animals, make a simple breakfast, and a flow of creativity begins. I often have the time to follow that flow until some song, or poem, or other creative idea blooms. I’m so grateful for those times. My current dream is to settle here in Portland, so I’m looking at my options. 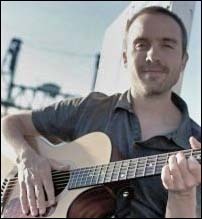 I teach voice, piano, and guitar lessons, and feel confident that with a little creative scheduling, I can balance that business with touring. I’m also looking into designing my own vocal and songwriting workshops! What are your next challenges at the moment? My biggest challenge right now is gathering momentum for my upcoming Kickstarter campaign to fund my next album. I’ve been traveling and working outside of Oregon, and it can be hard to to get my motivation up to steam once I’m home. Now that I think of it, though, it’s mostly my own impatience that’s in my way. The only deadline I have to meet is my own, and that’s a blessing. But I can be so hard on myself for not meeting it! Two things seem true to me: That in order to fulfill my dreams, I must respect them enough to keep my word to them. On the other hand, stressing out about the whens and hows only dampens my enthusiasm and resolve. Whatever entity made us, creating is what it built humans for. Whatever you’re dreaming up, no matter how outlandish or far off it may seem, it’s that universal spark of genius working in you, through you. Give it the honor it deserves. Whether you consider it “artistic” or not, it is. Do something today that moves you a little closer to your dream, and then do something else tomorrow, and the next day too. Where can people hear your work, online, via CD, or in person? All are welcome to visit my website, jonathanbrinkley.com to get music, performance dates, blogs, or to keep in touch. Also, good ol’ facebook: facebook.com/jonathanbrinkleymusic. Your business card says “Global Volunteer.” When did you decide on this job title and life path? What was the spark? I had been looking after my father for over 2 years. He was in a good place and it was time for me to begin a new life. I wanted to travel more, but no longer wanted to travel as a tourist. My travel had to have meaning in it. I considered teaching English and traveling, or finding a job that involved travel, but neither of those options appealed to me. Having been a small business consultant for 10 years, I thought about consulting and traveling. But a consultant needs time to establish credibility, and time is what a traveler does not have. And then I realized that I had just enough money in savings that if some organization would give me a place to pitch my tent, or a roof over my head, that I could afford to just travel and volunteer. I could indulge myself in helping people with no thought of charging for my services. I could help animals. I could work in organic gardens and farms. I could do marketing and communications for small nonprofits who didn’t have the skills to do these things on their own, or funds to hire someone to do it for them. I could go to a monastery and serve the holy people who live there, and maybe some of their peace would make its way to me. A wonderful new world opened up to me, and I was energized to my core just thinking about it. Once I decided to do this, it took about 6 months to finish my teaching commitments and sell the apartment building I had been renovating, and then I was off. What has this path looked like so far? What are some of your favorite places you have traveled and things you have done? Helping to create Couchsurfing at the Nelson New Zealand Couchsurfing Collective in 2007. Living collectively with twenty young people met my needs for challenge, growth, community, partnership, connection, and contribution to the well-being of others. I became a vegetarian during this time, and discovered NVC and Free Hugs because of the Couchsurfing collective. Bicycling through France for 3 months in 2011, guerrilla gardening and picking up trash along the roads all summer, on my own. I connected deeply with myself and my reasons for living a life of service. I also made dear friends and improved my French, meeting my needs for autonomy, beauty, mental and physical challenge, contributing to the well-being of others, exercise, growth, and connection. Taking care of the composting toilets and recycling and trash for the NVC Family camp on Vashon Island this summer. I have never felt such unconditional acceptance as during these two weeks. I can understand why people return again and again. It was hard physical work, but I was encouraged (and took time for) self-care, daily empathy sessions, and a good night’s sleep. This experience met my needs for inspiration, community, care, love, acceptance, challenge, growth, connection, and exercise, as well as contributing to the well-being of others. What fears did you have to overcome to get where you are today, walking this particular path? How did you overcome them? I had to overcome the fear of getting ill, and having nowhere to go. Because I left the US in 1996, my ties with my family and friends here weakened, and I did not stay in one place long enough to form deep connections in New Zealand. So by the time I decided to become a nomad, there was no one I knew who would joyfully care for me if I became ill. That was scary for me. I had a deep unmet need to be cared for early in my nomadic volunteering life. As the years have passed and I have remained healthy, and made friends who have offered me a place to stay if I ever needed it, this fear has departed. My trust in the universe has also increased greatly, and I know I would be cared for willingly, even by strangers, if I became ill. 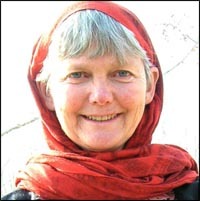 I have had a fear of being attacked while alone on the road in 2008, and also while being alone in Kashmir, India during great unrest in the fall of 2010. I looked long and hard at my options during these times, and decided that my best course of action was to befriend my attackers. So that is now my strategy if I am ever in danger of attack. Knowing I have a clear strategy gives me peace and I can remain calm in situations others might find unnerving. There is one other fear I have, and have not overcome. This is the fear of being tortured. It is the only thing that I fear in life. I do not fear being penniless, homeless, friendless, reviled, ancient, ugly, cancer, mental or physical disability, death or sickness, pain, violence against me, nor accidents. I know it is highly unlikely that I would be tortured, but having resolved my other fears, this is the only one which remains for me. Besides fears, what other obstacles have you had to overcome? How did you get past them? I have a heart murmur, and have had it since birth. This is an obstacle to me because I cannot do aerobic activities without quickly running out of breath: running, jumping, cycling up hill, strenuous dancing, fast walking, etc. But I get around by bicycling, and carry all my possessions on my bike, over mountains, including the Swiss Alps in 2001 and the French Pyrenees, as recently as last year. I have learned to never stand up on my bike to get up a hill, to pull off the road at the nearest driveway and catch my breath when climbing a steep hill, and to make sure my bicycle has a really low gearing on it. When I committed to volunteer in Kashmir for a year for the Hope Disability Centre, one of the many obstacles during that time was living and working in the Himalaya mountains with no heat during winter. No heat at work, no heat at home. All winter. Other people had heat – they carried wicker baskets with live coals in them under their cloaks. And they slept together with other family members at night. I decided to get by without using the wicker basket strategy, as it seemed dangerous for me. So during the day at work, I bundled up with all my thermal layers, cloak, and fingerless gloves. At night I sometimes wore all my clothes and even my cloak to bed. It was the two hot water bottles, one at my feet, and one hugged to my chest, that kept me warm at night. I learned to wash only half of me at time, on the few occasions when I chose to wash myself. If you never sweat, and are constantly covered in layers of clothes, there is little body odor generated. Speaking Kashmiri was an obstacle, and there were no Kashmiri dictionaries available anywhere. So I created my own dictionary word by word, from asking the few Kashmiris I knew who spoke English. My efforts were warmly received, as were my reading of the Koran, participating in the Ramadan fasting, and learning to pray as a Muslim. What is most rewarding to you so far? Learning how to live out of memnoon energy – only doing things for others that bring me joy to do them. Never acting out of obligation or duty. Living to give what I can give, rather than living to get what I can get. Learning Vipassana meditation, Nonviolent Communication, Emotional Freedom Technique, and sharing these with others. Buying nut trees for villages in Nepal, and other communities around the world. The hardest part for me has been when my sisters and closest friends do not read my monthly blog, after I send them an e-mail with an update on my life. It is then that I know how important it is to love yourself, and care for yourself, and trust yourself, and enjoy yourself and support yourself. Because no one cares about you like you do. No one. I am surprised at the amount of fear in people that keeps them stuck. That keeps them from reaching for their dreams, from changing those things in their life that continually trigger pain of many kinds. They cannot understand my lack of fear, and I cannot understand their huge need for safety. Without needing to share any specifics, of course, how are you feeling about the financial end of things? Do you feel comfortable, abundant? Are you hoping to feel more comfortable or abundant as time goes on, or are you exactly where you would like to be in that regard? This year, living in a house with 11 others, and having as my bedroom a 3ft by 7ft closet, or a corner of the unfinished attic, I have felt wealthier than I have ever felt before, even when I was making a 6 figure income and had stock options, etc etc. This has been a most interesting development. I have reduced my expenses by trading one day a week cleaning/gardening for my sleeping space. I have further reduced my expenses by occasionally eating with Food Not Bombs, by growing a garden, by volunteering at the Alberta Food Co-Op and visiting their free food boxes when I volunteer, and by eating very simple food. I further reduce expenses by riding my borrowed bicycle wherever I need to go. No bus or metro or car rental costs. My clothes come mostly from the generous Portlanders who share their wealth in the many free piles on the streets. Because of all of this, I have more disposable income than I have ever had before. I feel not a twinge at giving $20 to someone on the street, or $75 to a friend who had his backpack stolen. I feel wealthy enough to put a friend in Kashmir through his last year getting his master’s degree so he can help people with disabilities in India. I regularly buy books and nut trees for others – friends and strangers alike. When I was working, and making all that money, when an opportunity to help in these and other ways might have been presented to me, I felt constrained! Constrained because I had a mortgage, house renovations, car repairs or replacements, vacation plans, Christmas, retirement savings, birthdays, wedding gifts to buy, all these things crowded into my head, until I felt I could not give in the moment. I would have to think about it, check the budget, confer with my husband. Now I am coming to understand, at least in part, why the poor are often so generous. Their needs are so minimal. Their wants are never more than their needs, so they have extra to give to others, and they trust that others will give to them in turn. I am reminded of stories I have read of people who lived very simply, yet donated year after year huge amounts of money to charity, and were very very happy. I always wondered how they did it. I think I know now, and it has been a wonderful life lesson for me. As time goes on, and I enter more and more into the spirit of the gift, I look forward to converting my IRA into smiles of gratitude on the faces of many, many people. Talk about a return on investment! What are your next challenges or adventures? I have almost finished reading Charles Eisenstein’s book The Sacred Economy. I am toying with the idea of living completely on a gift basis, and wondering how that would look. Rather than arranging a work trade for a place to sleep, would it be possible to do such things on a purely gift basis? Would there be someone out there who would give me the gift of a place to lay my head for more than a night or two, without asking for anything in return? I know I would shower them with gifts of many kinds, but they probably wouldn’t know that about me. I am heading to New Zealand soon, and perhaps this will be part of the adventure of 2013 – living wholly in the gift economy. Why not? Someone needs to get the ball rolling! I would ask people to deeply look at their fears. Sit with them, do not run away from contemplating them. Ask yourself what is the worst thing that could happen, and then look at that, and decide what you would do to recover from it. Plan for the worst, and you no longer have to worry about it. After you have done that, you can go out and act in confidence, knowing that if the worst happens, you can deal with it. In short; plan for the worst, and expect the best.